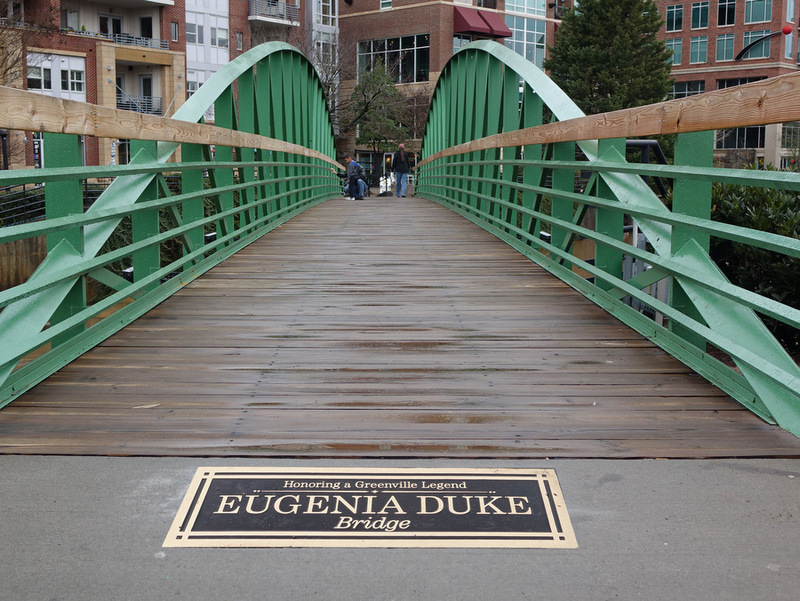 The pedestrian bridge over the Reedy River has been named the Eugenia Duke bridge in honor of the founder of Duke’s Mayonnaise. Greenville native Eugenia Duke invented the condiment and began serving it at the local Duke’s Sandwich shop in 1917. The bridge is located next to the historic Wyche Pavilion which served as the first factory for Duke’s Mayonnaise. The Duke Sandwich Company and partners recently sponsored bridge renovations, including new lighting as seen in last week’s post. It looks like a graceful bridge.